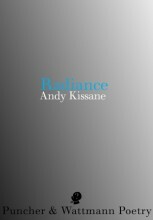 Radiance is Andy Kissane’s fourth collection of poetry. In my view this collection is a subtle change from, but consistent with, his previous books of poetry (1). It seems apt that Kissane refers to the Fibonacci sequence in his work. The sequencing, the attention to lineation and homogeneous stanza lengths, and the appreciation for the organic qualities of the natural world: all these things are present in this beguiling, deceptively off-hand, careful poetry. in the warm afternoon sun and soak up the attention. Why fret about where you are in the scheme of things? whose blood is thick and cold with unfulfilled ambition. As Kissane writes, these are poems made as a result of ‘A radical attention to the world’(3). The particular Kissane quality that results from his radical attention to the world is the manner in which he shows us what he has sensed. It is conversational, deeply versed in the Australian vernacular and delivered with a light touch. The reader is never far from a gritty humour and follows the long lines and chatty everyday-ness until they are deeply, unwittingly, in the numinous, the spiritual and the wondrous. The wings the wind gives to the whale-watcher at Cape Solander appear and reappear in many guises, as ‘two tiny bumps forming/near your shoulder blades, the beginning of wings, perhaps,’(4) and ‘when I first loved you and we soared over the harbour, our wings stretched out in effortless, astonishing flight’(5). perambulating with Virginia Woolf who is talking to me. “What are you doing in my Cornwall diary?” she asks. “Well, at least you’re not one of my characters. as it slides across the face of the sea like a blush. The result, as this quote intends to demonstrate, is a poetry which is revelatory, humorous and intelligent. here on the balcony within the visible and vanishing air. In his curatorial role, he selects material from his ‘radical attention to the world’ and he selects the quantity and manner in which it is presented. Kissane excels at using what he calls ‘the grit and gyprock of words’ (60). He fashions the poems into elegant patterns on the page and is fond of three-line stanzas. All this apparent ease of expression, rather like his daughter at the rink, is practised and wrought. He has divided the book into four sections and each section has within it a narrative of meaning, with the poems carefully sequenced to develop the thought. Within the poems, the flowing lines have careful line endings, the words at both end and beginning of the lines selected to bear the slight emphasis of their position in the line and there is plenty of enjambment to lead you (often literally) down the garden path, past the joke to ‘suddenly stumble on what we really think’, and to radiance. This poise, this hard work in selecting and arranging, brings a subtlety and structure to this mature poetry. It makes for a very elegant book. The final part of the collection, The Sea of Tranquillity, is a long riff on the metaphor of Kissane being married to the Moon, which he personifies effectively. in Croydon Park, The Moon opened the front door. and a fluttering corona pulsing around her outline. they were gone. She wasn’t even wearing lipstick. The Sea of Tranquillity brings together the components of Kissane’s very particular style which are at work in this collection: his magic realism; his ability to describe love and adoration, warts and all; his humour; his long narrative line and his unveiling of radiance/Radiance. The collection as a whole is slender, elegant and well-constructed. ANNA KERDIJIK NICHOLSON‘s second book, Possession, received the 2010 Victorian Premier’s Prize and Wesley Michel Wright Prize. In 2011 it was shortlisted for the ACT Judith Wright Prize and the NSW Kenneth Slessor Prize for poetry. She trained as a lawyer, lives in Sydney and is on the board of the national poetry organisation, Australian Poetry.